Since spring is finally in full bloom, I thought I'd do a roundup of my five favorite springtime crafts from blog posts gone by. I feel like spring is the perfect time to refashion old clothes so they'll be more breezy, to make cute new accessories for freshly-bared arms, and to collect as many budding flowers as possible. 1. Bust out those scissors and make a side-tie t-shirt. It'll look great with a new swimsuit peeking out of the sides. 2. 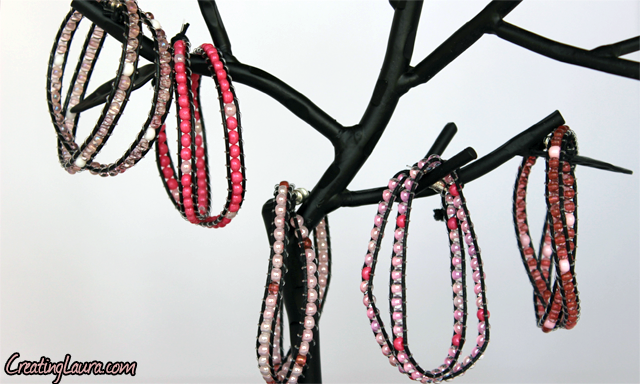 Create your own beaded wrap bracelets. They can cost a fortune if you buy them in stores and only a fraction of that if you make them yourself. 3. 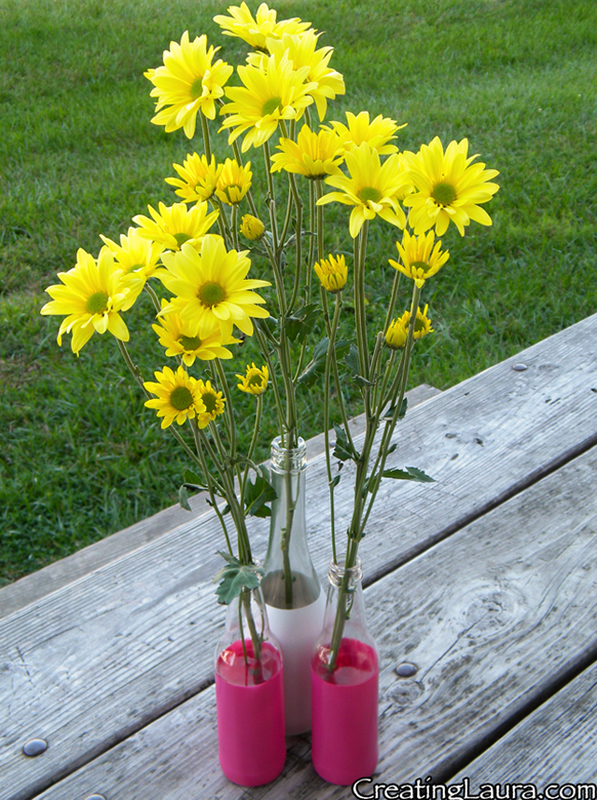 Reuse old bottles to make painted bottle vases. The flowers will look beautiful inside on the mantle or outside on a picnic table, plus the Earth will thank you for upcycling your trash. 4. 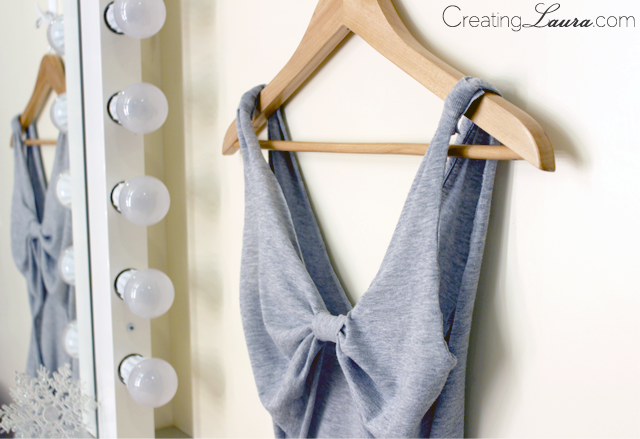 Use some scissors and glue to fashion a bow-back tank top. It's perfect for the weather that's finally warming up. 5. 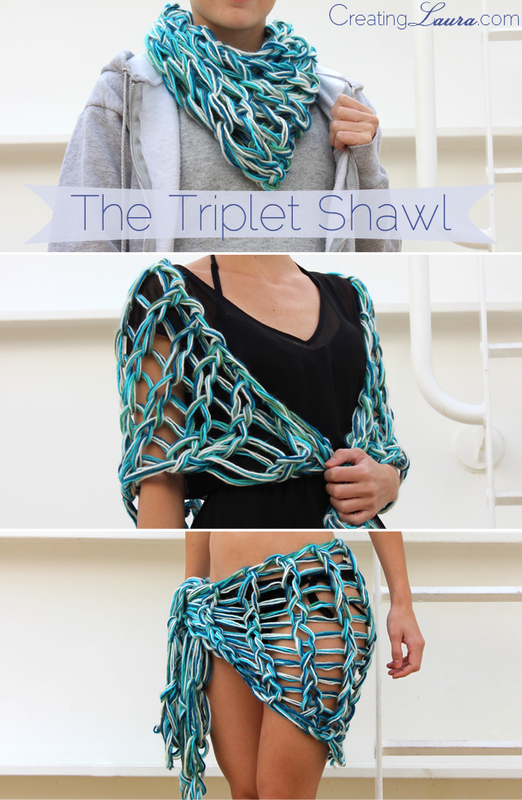 Embrace the arm knitting trend and make The Triplet Shawl. It's perfect for wrapping over a swimsuit at the beach. However you choose to celebrate the changing of the season and the long-awaited arrival of warmer weather, I hope you're loving it.